Strong undercuts in one side and long shoulder length wavy hair slicked in another side – a perfect style for a punk-themed look. This will make you stand out from the crowd and the waves of your hair will give your look some extra grit. Men can rock a layered bob just as much as ladies do. And men with long curly hair can do it better than the other hair types because the cut sets in better and the texture does its own magic. This look is best for the men who love the idea of long hair but it is becoming too much to maintain. Reverse your waves to back with some products. 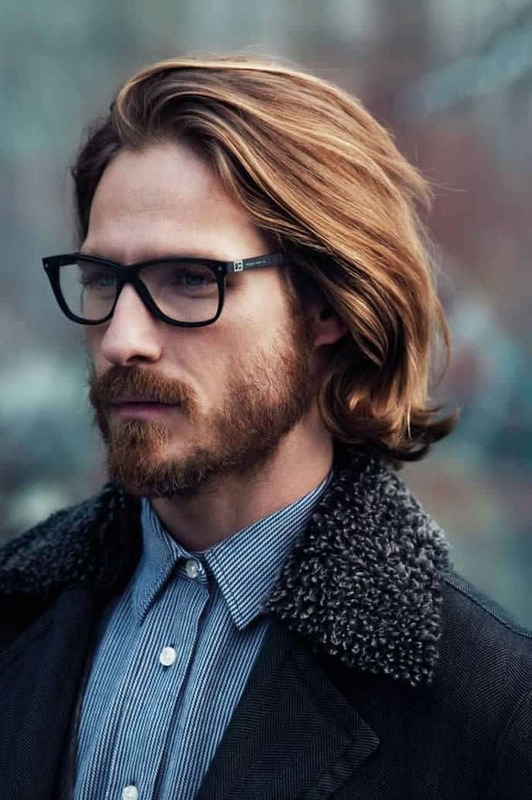 This is an ideal look for men with long wavy locks who have work to do and could use fewer disturbances in front of their face while working. 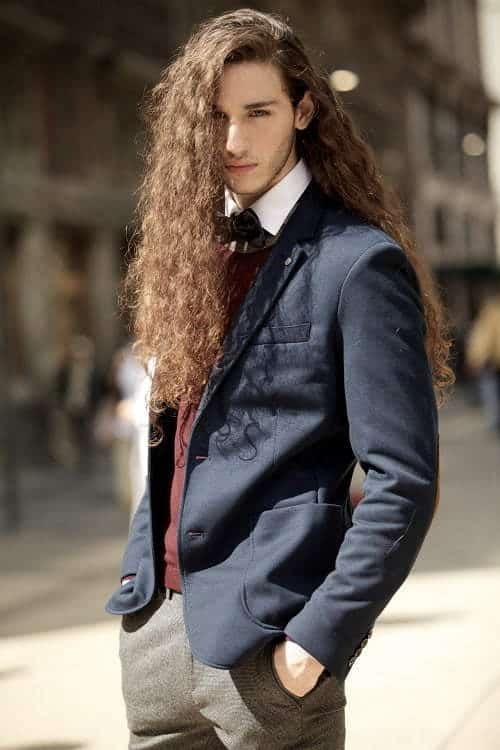 This one is for men with very curly and long hair who want something to rock with suits and casual wears at the same time and look impressionable and distinguished. You better enlist the help of your hairstylist for this hairdo. Part your curly locks to a side, and the ruffle it with some hair products for a high and puffy look. There you go, a semi-gothic and impressionable hairstyle that suits everything. You can infuse deadlocks with your shoulder length densely curled hair. Keep the hair around your forehead in dreadlock and leave the rest to hang loosely. This will be a perfect hairstyle for framing your face in a different way and give you a smoldering look. Slick up your wavy mane with hair products and do a strong middle part. Comb it up. You are all set for looking cool and gorgeous. This hairstyle is ideal for men with long wavy hair on formal occasions. You don’t have to be a metalhead to rock the iconic hairstyles of famous metal musicians in 80’s when they experimented with men’s long-haired look. You can choose from the many hairstyles the metal musicians used to adopt, some of them are still rocking those styles in one form or another and still they look great and impressionable. You can also try those with your long mane of wavy or curly hair. If your hair is EXTRA long, you need extra care and maintenance efforts for that. That is why it is better to adopt hairstyles that is healthy for the hair. The layered and messy hairdo is stylish and at the same time easier to maintain. You can sport it without much fuss compared to other hairstyles. Very long hair can also be an artistic feature of yours. You can make accentuate the artistic features of your hair by flaunting the wavy long mane to a side. This will give you a very impressionable and poetic look. You can rock your Dreadlocks in more than one way. Let them out without tying in a bun or a ponytail. To enhance the effect, give your dreads a strong trim to a side and bleach it. You can try coloring that trimmed side in a different color if bleaching is not your thing. Either way, this is a very distinguishing long curly hairstyle for young men out there. You will hopefully find a direction where you want to take from this article. Adopt from these men’s long curly hairstyles whichever you feel that goes with your face shape, environment, and needs. A good hairstyle makes you look good and feel good at the same time. Happy grooming fellas!